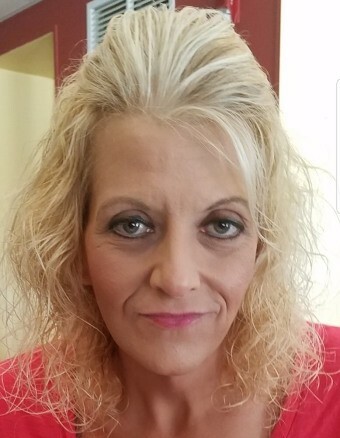 Holly Bradford Buckhart, 44, of Glencoe, passed away Monday, March 18, 2019 at St. Elizabeth Healthcare, Edgewood. She was a server at Frisch’s in Erlanger and loved shopping and spending time with family. Holly was preceded in death by parents, George and Shirley Dunagin Bradford; brothers, George Petey Bradford Jr. and William Billy Bradford; and sisters, Paula Ruth Knipp and Lorna Sue Bradford. Survivors include son, Dylan Bradford; sister, Penny (Edward) Manning; and many nieces and nephews. Visitation is Friday, March 22, 2019 from 11:00 a.m. to 1:00 p.m. at Middendorf-Bullock Funeral Home, Covington with a funeral service to follow at 1:00 p.m. at the funeral home. Interment at Highland Cemetery, Fort Mitchell. Memorials are suggested to Brighton Recovery Center, 375 Weaver Road Florence, KY 40142.